Be the first to share your favorite memory, photo or story of Mildred Allene. This memorial page is dedicated for family, friends and future generations to celebrate the life of their loved one. 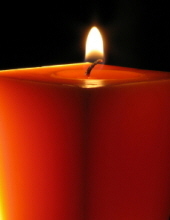 Mrs. Mildred Allene Hopkins Folds, age 96 of Roopville, Georgia, passed away on Saturday, April 13, 2019. She was born July 23, 1922 in Tifton Georgia, the daughter of the late Harvey Lee Hopkins and the late Maude Josephine Beard Hopkins. She graduated from Sycamore High School; worked as a receptionist at the Senior Center in Carrollton for 18 years; and was a member of Glenloch Baptist Church in Franklin. Mom was a gardener and a great cook. She loved music, flowers, dancing, travelling, and partying with the teenagers, and sewing. In addition to her parents, she was preceded in death by her husband, Charlie Rhybon Folds and infant daughter, Dorrie Ruth Folds. Survivors include her children: Charlene Cook of Bowdon, Judy Smith (Sammy) of Franklin, Danny Folds of Roopville, Janie Williamson of Carrollton, Margie Hammock (Dr. Mark) of Heflin, AL and Hal Folds (Yvonne) of Roopville; grandchildren; Sheila Waldrop (Mike) of Lineville, AL, Scott Knowles (Lisa) of Heflin, Chris Smith (Dr. Donna) of Roopville, Erica Byrom (Cody) of Muscadine, AL, Joel Smith (Allison) of Franklin, Justin Hammock of Heflin, AL, Brittney Hammock, also of Heflin, AL, Teresa Pate (John) of Whitesburg, and Katrina Hursey (Brian) of Roopville; sixteen great grandchildren; twelve great, great grandchildren; and a host of nieces and nephews. Funeral services will be conducted Monday, April 15, 2019 at 2:00 PM from Martin & Hightower Heritage Chapel with Rev. Neil Awbrey and Rev. Jimmy Bryan officiating; Music will be rendered by the Prince Family. Pallbearers will be Joel Smith, McKorey Smith, Justin Hammock, Dr. Mark Hammock, Neil Harrison, and Matt Milam; Seated as honorary pallbearers will be Milton Lepard, Mardis Smith, Scott Knowles, Terry Harper, Alan Banks, Chris Smith, Ed Hopkins, Pete Harrison, Larry Benton, Don Poore and Ronnie Carter. The family wishes to express a special thanks to her caregivers, Mary, Takeithra, Connie, and Toni. Interment will follow in Goshen Methodist Church Cemetery in Roopville, Georgia. The family will receive friends at the funeral home on Sunday evening from 5:00 PM until 8:00 PM. Messages of condolence may be sent to the family at www.martin-hightower.com. Martin & Hightower Heritage Chapel has charge of the arrangements. To send flowers or a remembrance gift to the family of Mildred Allene Hopkins Folds, please visit our Tribute Store. "Email Address" would like to share the life celebration of Mildred Allene Hopkins Folds. Click on the "link" to go to share a favorite memory or leave a condolence message for the family.